A sneak peek at what I'm currently working on. Over the holiday, I found this stamp company called Mama Elephant. Have you heard of them? I guess I don't get out of my comfort zone very often when it comes to stamp companies like Mama Elephant. 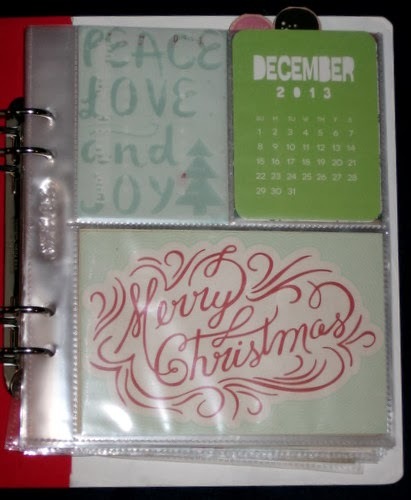 But I loved the little deer stamps and I took the plunge and purchased Winter Wonderland. Boy am I glad I did. Mama Elephant's stamp are beautiful. This month Mama Elephant is having a challenge, so I decided to join in on the fun this month. This challenge is a photo challenge based on the photo above. Below will you see my take of this photo. Supplies: Outside Card - Mama Elephant Winter Wonderland; My Creative Time Chunky Jar Accessories for the sentiment and tag & Fun Stitched Edges for the mountain. Momento Ink: Love Letter, Rose Bud, Rich Mocha & Snow Marker. Inside Card - My Creative Time More of My Favorite Sayings for the sentiment & Mama Elephant Winter Wonderland for the deer. 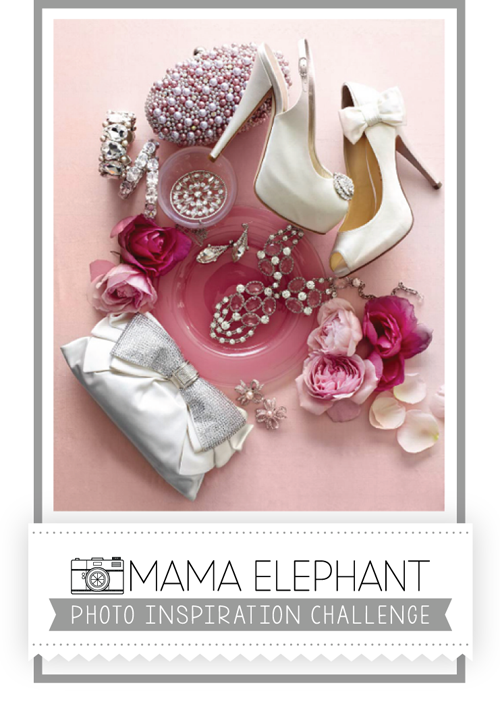 If you own any Mama Elephant, hope you are able to play along this month. Although I'm still in the process of completing my December Daily Album, I wanted to go ahead and start sharing my pages. Day 1 - started off the month with Momma (ME) feeling sick. Day 2 - the weather where has been crazy but nothing like the fog that over took the area this day. Couldn't see 20 feet in front of you. Nothing exciting on Day 3. Day 4 - Lighting of the City's Christmas Tree. Baby Girl's school choir was invited to sing. She and her classmates did a wonderful job singing. They even sang one of my favorites - I Want a Hippopotamus For Christmas. Day 5 - an early Christmas gift from my Hubby, Canon Selphy. Which I knew was coming (so happy). Day 6 - Hubby got us some meat. We only get what we eat and all the meat we eat is what He gets. The NOEL print was a freebie from I Heart Nap Time. Day 7 - Silhouette Cameo shows up on our doorstep. Boy oh boy you should have seen me when I saw this unexpected gift. I felt (and I know acted) like a kid who couldn't wait to open their gifts on Christmas morning. Almost all the supplies came from the December Daily kit from Studio Calico and my own stash. Enjoy and hope you come back to see more. Before January is over, I hope to complete my December Daily album. It's about 2/3 complete. Look for more of my album over the next few weeks. Today I just want to share my cover. Using my Silhouette, I cut DEC 2013 for the spine. I completely cover the outside and inside of the album with white paint. Next I added silver glitter into a few of the stars and added silver ribbon (from Studio Calico December Daily kit). To cover the December wood piece, I sprayed it with Tattered Angels Glimmer Mist Candy Apple Red and Perfect Pearl Mist Perfect Pearl. Last month My Creative Time had a design team call and although I didn't make the team, I am proud I finally took the step to apply for it. I made three projects and today, I'm going to finally share with you the end result. My first project is for a friends baby. Using felt purchased from Hobby Lobby and MCT Lowercase Fun dies, along with MCT What;s Growing On stamp/die set, I created this cute little onesie for him. I can't wait to see him in it. Next, I made this card using MCT Classy Girl & Furbaby die set, MCT Teeny Tag Greetings, MCT Fly Away With Me die and Fly Away With Me stamp set. To get the 'hill', I use MCT Fun Stitched Edges. All and all I love these projects and enjoyed using various My Creative Time stamps and dies to create them. If you like My Creative Time as much as do or you're looking for a new and fun stamp company, check out My Creative Time. A new release starts with sneak peeks on January 13th, so be prepared to be inspired by Emma and the new Design Team.